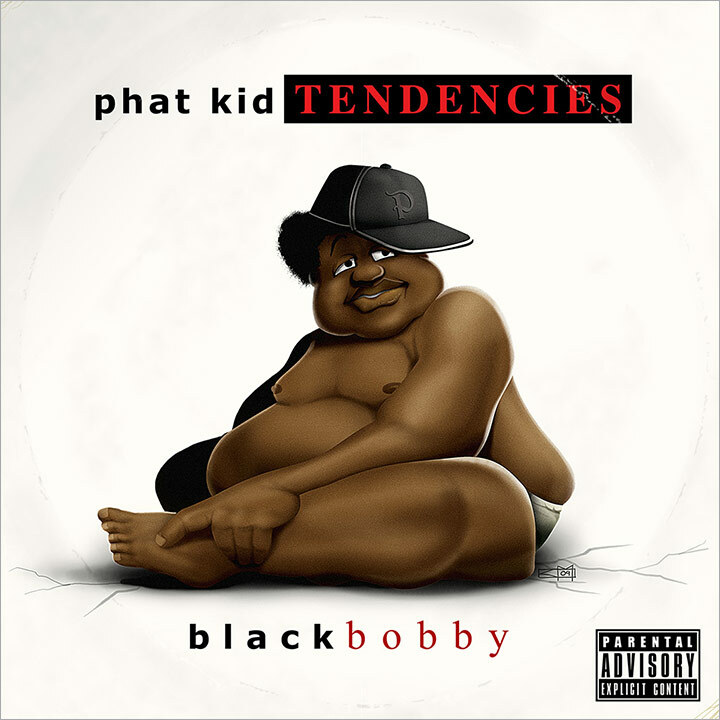 Fully-illustrated album cover for hip hop artist Black Bobby's debut album Phat Kid Tendencies. Based on the iconic cover for the Notorious B.I.G. 's album Ready To Die.